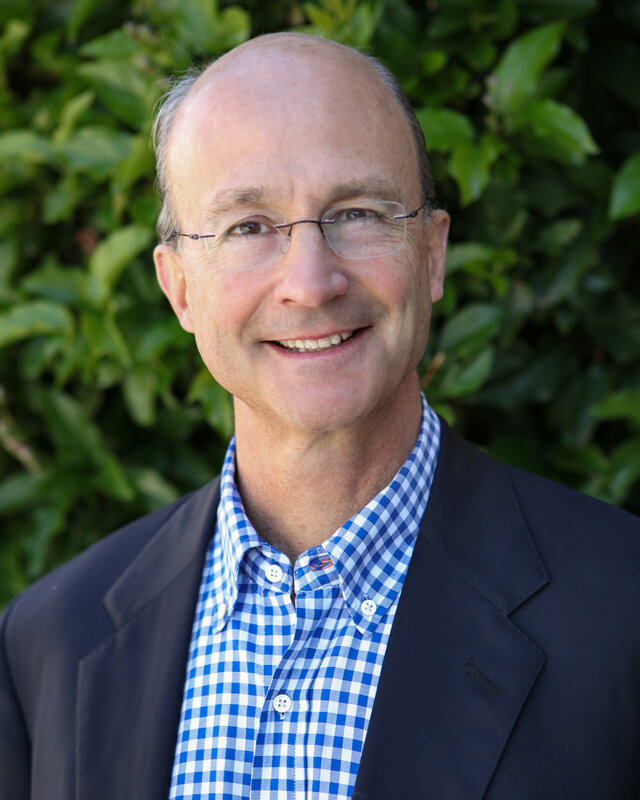 September 24, 2018 / Pranita B.
REDWOOD CITY, Calif. – Weingarten Children’s Center is pleased to announce Bill Doyle has joined as its Executive Director. The Redwood City-based program focuses on teaching young children who are deaf and hard of hearing to listen, speak and learn. In his new role, Doyle will help the organization build on its 50-year history, pedagogy, and technology, and extend its mission to unserved and underserved young children anywhere reached by technology. Doyle comes from the private sector where his career has focused on building strong, growing companies, and raising and deploying capital. His most recent experience has been in general management, strategic consulting and investment banking. He holds a B.S.E. from Princeton University and an M.B.A. from the Stanford Graduate School of Business. The Foundation For Hearing Research, Inc., which does business as Weingarten Children’s Center, is a nonprofit organization serving children with hearing loss. It operates the leading specialized early-intervention clinic and school on the San Francisco Peninsula and “BabyTalk,” a pioneering online teletherapy program developed by Weingarten in conjunction with Stanford University. Weingarten Children’s Center teaches critical thinking and learning through listening and spoken language, using the latest technology to achieve profound personal, social and financial impact. September 10, 2018 / Pranita B. WHAT: Join Weingarten Children’s Center for its biggest fundraiser of the year, “A Night for Heroes: A Super Gala.” The event, to directly benefit deaf and hard of hearing children, will feature a silent and live auction, formal three-course dinner and Fund-A-Need donation program. WHO: Teachers, alumni, parents, friends and community supporters. Formal attire recommended. Capes and masks welcome. A nonprofit school focused on teaching all children to listen, speak and learn for more than 50 years. May 08, 2018 / Pranita B.
WEINGARTEN CHILDREN’S CENTER RECEIVES PRESTIGIOUS HONOR FOR ITS 50TH ANNIVERSARY FROM REDWOOD CITY COUNCIL. There’s a hidden gem on the San Francisco Peninsula that took center spotlight April 23, 2018, during the Redwood City Council meeting. Mayor Ian Bain and fellow council members honored and congratulated Weingarten Children’s Center for its 50 years in providing exceptional educational service to the various communities of the Bay Area and beyond. The school teaches deaf and hard of hearing children to listen, speak and learn. To this aim and in conjunction with May marking Better Speech and Hearing Month, according to the American Speech Language Hearing Association, Weingarten Children’s Center is gearing up for its 26th annual charity golf tournament, Tee Off Fore Our Kids. When: June 4, 2018, 10 AM, to be followed by a cocktail reception, dinner and auction. Weingarten’s specialized staff and teachers partner with schools throughout the Bay Area to provide high-quality education – including everything from speech and occupational therapy to music enrichment – with tuition assistance often requested and needed by its families and children, said Aguilar. She added this funding is especially important for those from birth to age three, who require support and services during the critical developmental years. “Without financial help from our community, many children and their families would lose access to the intensive listening and spoken language services they need to one day reintegrate into the mainstream hearing environment,” Aguilar said. WCC has created a YouTube channel designed to empower parents and professionals who work with children with hearing loss. Each short and simple lesson includes a new teaching tip and a song twist for a familiar tune. Grow your child’s speech, language, and listening skills while making music a way of life in your home or school! November 19, 2017 / Pranita B. Watch us on KPIX 5 morning segment "Cool School"
December 04, 2016 / Pranita B. A wonderful profile of our BabyTalk program and the families we help was written by Arturo Hilario of El Observador, a bilingual media outlet in the San Jose area. Interview with Kathy Sussman of Weingarten Children’s Center about the joint teletherapy BabyTalk program with Stanford University. BabyTalk provides speech and language therapy services via a telemedicine model using iPads and FaceTime to deaf and hard of hearing children. The program includes parent education, early childhood educational interventions and aural rehabilitation to cochlear implanted children and their families. The segment was captured live on CNN en Español on Monday February 24, 2015. Presented during “Realidades en Contexto”, hosted by Mercedes Soler. Captioning and translation provided by Weingarten Children’s Center staff and volunteers. WCC in the NEWS! : An Amazing Story! In partnership with Stanford’s Department of Otolaryngology, the shared BabyTalk Program makes a difference in the lives of hearing impaired and deaf children every day. Weingarten Children’s Center continues their wonderful commitment to provide much needed speech and language services for those who do not have immediate access through advancements in technology. No matter what the distance, giving the gift of spoken language.